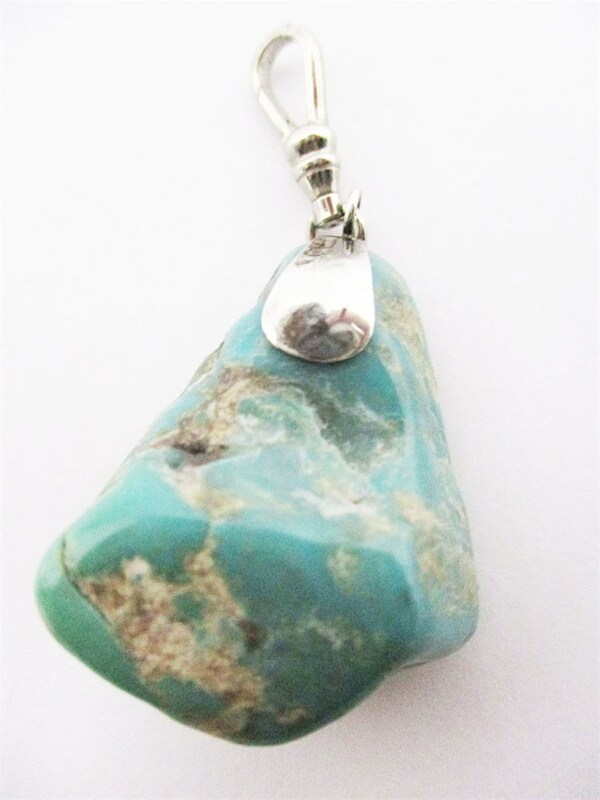 Size 1-3/8" X 1-1/2" X 3/4"
This turquoise pendant is more than 1-1/2" long. It is a stunning example of turquoise, with a sterling silver bail. 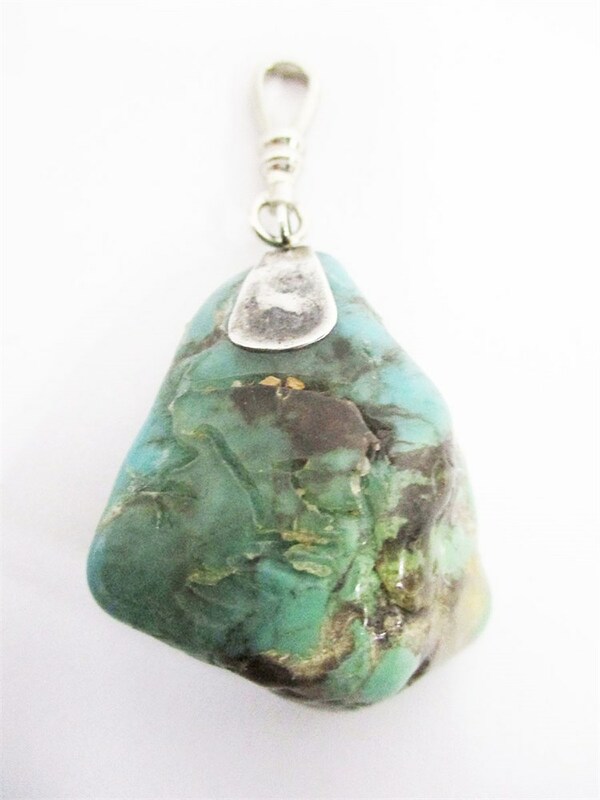 The stone measures approximately 38mm x 30mm x 18mm; its approximate weight is 20 g.